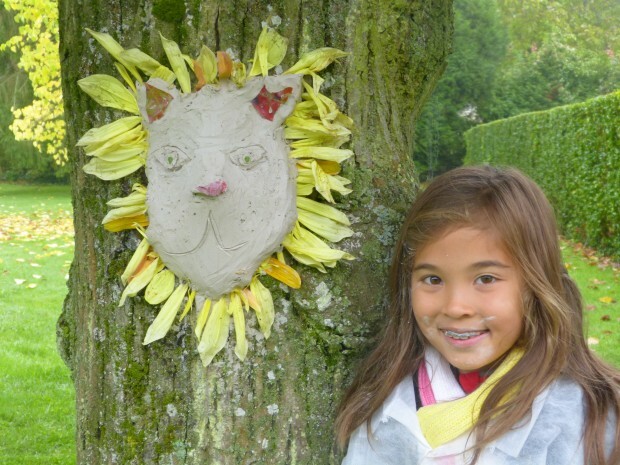 5th Grade Trip to Blérancourt: Stone-cutting, Sculpture, and Archery! Today, the fourth day of our cultural exchange trip to Blérancourt, we participated in several fun activities in Soissons, one of the most ancient towns in France. First, we visited l’Abbaye Saint-Jean-des-Vignes, a former Augustinian monastery, where we met José, our stone-carving instructor. We spent the morning sculpting our own stones into intricate shapes commonly found in the abbey. The students choose from four different patterns, and shaped their stones using mallets and chisels. They all concentrated very hard on their work. Everyone had a great time and created a lovely stone sculpture to bring home! After having a picnic lunch and some time to run around outside in the sun, we were met by Brigitte, our guide for a treasure hunt around the abbey. 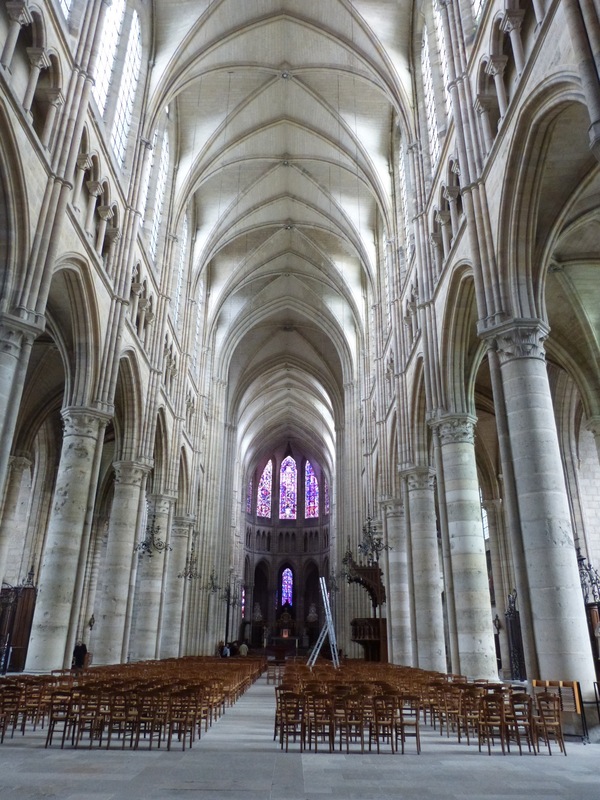 She began by explaining to us how cathedrals were built. Then, the treasure hunt began. The hunt was set up as if being narrated by Frère Jacques, a novice monk at the abbey, who had left letters to guide the children. Each letter had a clue leading to another part of the abbey, where the students found the next piece. The reward at the end of the hunt was candy, found in the ruins of what was once the abbey’s kitchen, and the chance to see a drawing of what the ancient abbey would have looked like 800 years ago. Next, we walked to the Cathedral. We climbed the 343 steps leading to the top, and enjoyed nice views of the city and of its surroundings. Finally, we returned to Blérancourt, and the students returned to their host families. The next morning, we headed over to the museum at the Blérancourt Château, where we met the new assistant-curator. She explained some of the history of the château. We visited the north pavilion, which has been restored to how it looked when Anne Morgan, an American philanthropist, used it as a base for helping the civilians in the region between the two World Wars. We learned about the restoration of the furniture, the wall tapestry, and the building. Then, we met our guide Catherine, who taught us about the masks (mascaron in French) located on the walls of the château. Catherine showed the children several examples of these masks in order to inspire them for their upcoming activity, making their own masks using only natural materials. The students collected leaves, flowers, and pebbles to use for their masks. Then, each was given a large piece of clay and a bucket of water. They worked their clay, and when it was flat enough, they each chose a tree to use as an easel. They ran back and forth joyfully, finding the perfect tool or leaf to complete their masterpiece. It was wonderful to see our little artists at work. All of the masks were incredibly unique, and the children each had a picture taken with their creation, as this was an ephemeral natural art piece that could not be taken home. 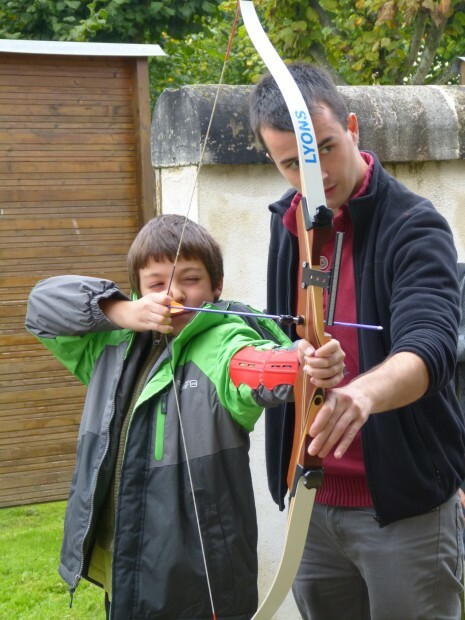 After a lunch with their host family, the students went to the compagnie d'archerie to try their hand at tir à l’arc, or archery in English. The students learned about the different types of bows and arrows. Then, each group had one of the archers from the local archery club teach them how to properly shoot. We had some natural champion archers, and everyone had a lot of fun.